Although most people prefer to forget about Windows 8 entirely, some people did enjoy the full-screen Start menu—especially those on tablets with touchscreens. 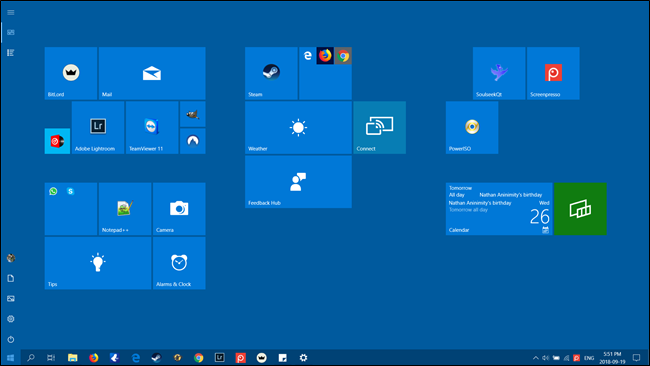 Here’s how to get it back in Windows 10. Hit Windows+I to open up the Settings app. 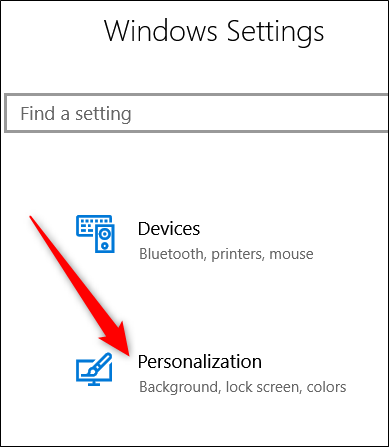 On the main page, click on the “Personalization” category. On the left, choose the “Start” tab. On the right, turn on the “Use Start Full Screen” toggle. It’s just that easy. The next time you hit Start, you’ll be able to see the Start Screen in all its glory. No, it’s not exactly the same Start screen featured in Windows 8. It still uses Windows 10-style searching and menu buttons, and your taskbar is still accessible. But it’s pretty close.